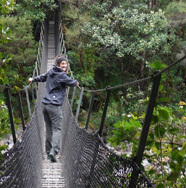 Inca Trail Trek with premium lodging, porter service, and gourmet cuisine. 2019 permits are selling fast! 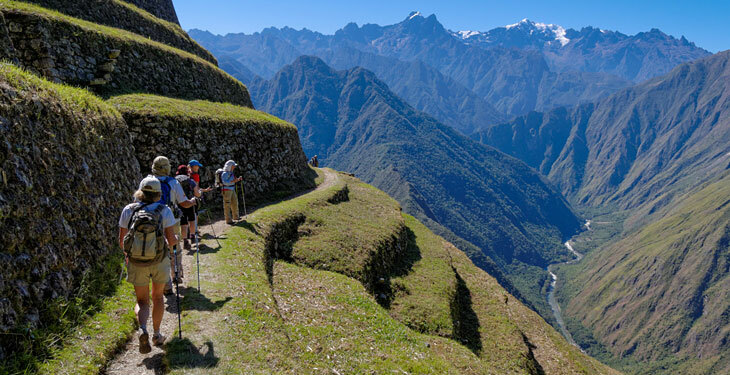 Emerge from your adventure fully rejuvenated – take the classic Inca Trail trek to the next level in service and comfort. 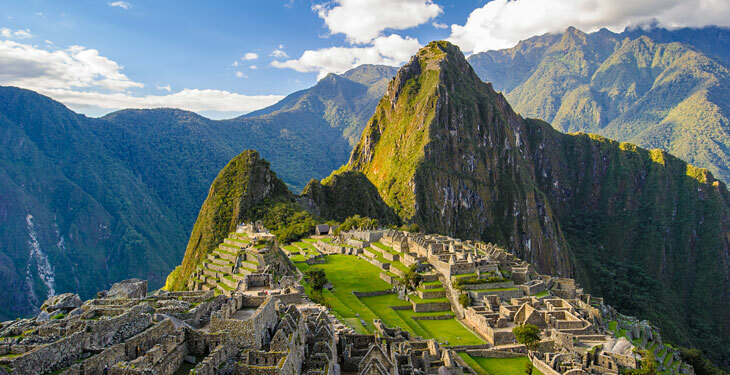 Experience pure luxury as you journey to the Seventh Wonder of the World on the iconic Inca Trail. Get revitalized at the 5-star Palacio del Inka Luxury Collection (or similar) as you prepare for this 26-mile adventure. 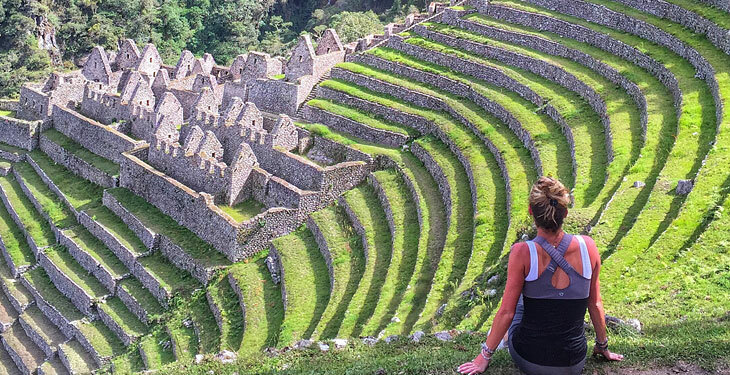 Hike in the path of former Inca kings as you climb and descend through astounding landscapes and mystifying ruins, such as Phuyupatamarca (‘Town in the Clouds’) and Winay Wayna. After a long day of trekking, unwind at camp as you sip on a pisco sour and take in sweeping views of the Andes Mountains. Rise early on your final day to reach Inti Punku (‘Sun Gate’) and be greeted with a breathtaking sunrise over Machu Picchu. 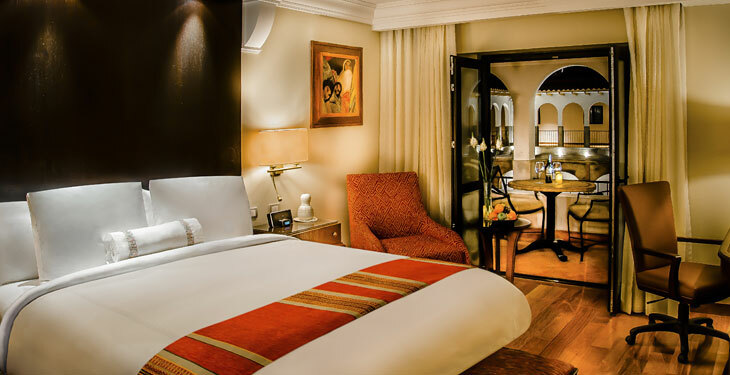 After fully exploring the Seventh Wonder, return to Cusco for a final stay in luxury accommodations – a welcome reward for tired legs. This trip includes premium accommodations in a 5-star hotel and premium services along the trail including a professional chef, additional porter services, and spacious tents. Upon your arrival in Cusco, you'll be met at the airport by a representative from Valencia Travel who will transfer you to your 5-star Cusco hotel. Here you'll join your guide for a short briefing about the wonderful tour that awaits you. Afterward, you'll have the option to join a guided tour of the impressive Koricancha Temple and enjoy the sights and the capital of the Incas. Enjoy the indigenous and colonial heritage, then spend the remainder of the day leisurely exploring Cusco’s nightlife or sampling one of its many restaurants. After breakfast, choose to explore Cusco on your own or join the full day tour of the Sacred Valley (additional cost associated, see FAQs). If you opt for the Sacred Valley tour, you'll depart the hotel at 8:00 am. On this full-day excursion to the Urubamba Valley, you'll visit the colorful Indian market in Pisac. Explore the mixture of color and tradition and test your bartering skills to purchase hand-made souvenirs from the local craftspeople. Following the visit to Pisac, travel to Urubamba where you'll have a break to enjoy a delicious buffet lunch (not included in cost). You'll then continue through to Ollantaytambo, the oldest continuously occupied town on the American continent. The narrow streets of Ollantaytambo, along with its canals, have not changed much from the time of the Inca Empire. They evoke their ancestral inheritance and give you a feeling of what it would be like to live during Incan times. The last visit will be the Chinchero market, which is believed to be the mythical birthplace of the rainbow. This colorful Sunday market is much less tourist-oriented than the market at Pisac. At the end of the day, return to the Plaza de Armas in Cusco. Trail briefing at 7:00pm in the hotel lobby. You'll start the journey to the trailhead by leaving the hotel at 5:00 am and travel by bus to Piskacucho (also known as Kilometer 82) where the trail starts. Stop for breakfast in Ollantaytambo to prepare for the trek that lays ahead. Upon arrival at Piskacucho, take some time to organize (use the restrooms, put on sunscreen, mosquito repellant, etc.) and then start your first day on the Inca Trail. Before you begin hiking you'll need to show your trail permit and passport. Begin hiking at 8,923 feet, crossing the Vilcanota River and follow its route to the right. The first day is relatively easy. 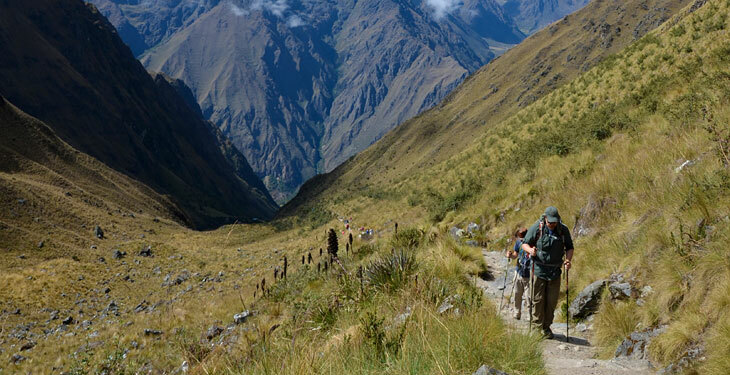 This part of the trek is often called the Inca Flat, and boasts many great views from the vast and incredible Inca site, Llactapata, to the beautiful snow-capped peak of W’akay Willca at 19,225 feet. Rise early for breakfast, then start a steep ascent towards the highest pass, Abra de Warrmihuañusca (13,779 ft). On this day, you'll feel a real sense of achievement upon reaching the top! After resting, begin the descent to Pacaymayu (11,646 ft) and stop for a lunch break. Along the way you'll have the opportunity to see lots of hummingbirds and appreciate an incredible variety of native plants and trees. You'll even see Polylepis or Q’ueuña trees which grow in the astonishing cloud forest located at 11,972 feet. After lunch, begin the second steep climb of the day to Runkuraqay Pass (almost 13,125 ft). Arrive at the campsite by 5:00 pm for a well-earned meal prepared by the chef. Wake up for breakfast at 6:00 am, and start the day with a gentle climb to visit the archaeological site of Phuyupatamarca (meaning ‘Town in the Clouds’) and to reach the third highest point on the trail (~12,075 ft). This peak boasts spectacular views of mountains, canyons, and the surrounding area. The Inca site Phuyupatamarca is located a few minutes walk from the third pass. Afterward, continue walking through the cloud forest and the impressive agricultural Inca site of Intipata before arriving at the third campsite, Wiñay Wayna (8,792 ft). You'll arrive at camp in time for lunch and have time to explore the nearby Inca site of the same name, Wiñay Wayna - meaning Forever Young - and take in what many consider to be the most impressive site on the trail. Depart Wiñay Wayna around 4:30 am on the final day (breakfast at 3:30 - 4:00 am). The early start will ensure you get to Inti Punku (‘Sun Gate’) before sunrise. This is the place from where you'll have your first astounding view of Machu Picchu (7,873 ft) with the sun rising over it! After spending some time at Inti Punku, walk down the last part of the trail to enter into Machu Picchu. Enjoy a guided walking tour (approximately two hours), and then you'll have time to explore the mysterious city on your own. Later, take the bus down to Aguas Calientes for lunch. Board the train back to Cusco, where you'll be transferred back to your hotel. After breakfast, say goodbye to Peru! You'll be transported back to the airport based on your flight itinerary. The hike to Machu Picchu was an unforgettable experience. We were overwhelmed by the service, food, and support we received. 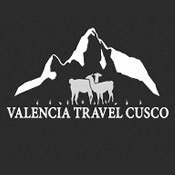 Valencia Travel Cusco is dedicated to providing unparalleled quality and service to adventure seekers from around the world. With a combination of local expertise and international standards, Valencia Travel will tend to every detail necessary to provide the best and most exciting travel experiences. Guides and employees bring years of experience and formal tourism education to each and every service provided. Core values also include a devotion to best green practices and an overall dedication to sustainable tourism. When it comes to Peru, Valencia Travel is the go-to adventure travel expert! This was one of the most exhilarating, educational, and memorable trips I have ever been on! Santiago, our tour guide, was friendly, fun, knowledgeable, and organized. I would recommend Valencia Travel to anyone who is interested in a valuable experience in Peru. Thank you!! I went with a group of 12 in October 2015. We were from all over the United States. This is an amazing experience! I cannot begin to express the value you receive. From the moment we were met at the airport in Cusco until the moment we were returned to the airport to depart - every moment of our trip was professionally organized and left us without any worries except to enjoy every second of this amazing trip. The trek is difficult, but so worth it. The accommodations, the food, the history, the friendships we developed - It was all more than you can ask. Valencia takes pride in the services they provide and it shows. This price makes a trip of a lifetime obtainable. The hike to Machu Picchu was an unforgettable experience made even better by our fantastic guides and porters. We were overwhelmed by the service, food, and support we received. We highly recommend this adventure. In our opinion it's the only way to see Machu Picchu! We just returned from our trip with Valencia to Cusco and trek to Machu Picchu. It was incredible! We couldn't be happier with our choice to go with Valencia Travel. They paid attention to every detail, we ate like kings on the trail (they even accommodated my gluten and dairy allergy with ease) and they were very helpful the entire time. I would highly recommend Valencia Travel to anyone looking to do this trip. We were VERY impressed and had the trip of a lifetime! Once you've purchased your voucher on Active GearUp, contact the operator directly to check availability and finalize your reservation. Voucher valid only for travel dates that fall within start and end dates shown above. Reservations are subject to availability. Please do not make travel arrangements until you receive confirmation from the operator. Please note each departure requires a minimum of two people to run. Reservations are subject to permit availability. Please do not book travel until your trip is confirmed by Valencia Travel. Please note that your date cannot be confirmed until you provide Valencia with your personal information. Reservations are subject to availability. Once Valencia Travel has received your desired dates, they will apply for your permit as soon as possible. Please note that Valencia may require additional information in order to apply for a permit on your requested dates. Please also note that a request for your information does not mean your dates have been secured. You'll receive a verification email once your permit has been purchased. Please do not make travel arrangements or book airfare until you have received confirmation from Valencia Travel and confirmed your permits. How do I redeem my voucher? For which dates is it valid? To redeem your voucher, please reach out to Valencia Travel as instructed in your confirmation email. Reservations are subject to availability and Valencia Travel will do whatever they can to secure your desired dates. Please do not book travel until your trip is confirmed by Valencia Travel. Your date cannot be confirmed until you provide Valencia with your personal information. Voucher expires December 31, 2019. Departures are available almost daily every month of the year except February. Currently, March, April, May, June, July, August, and September are sold out. Dates are still available October through December. Fly into Cusco, Peru (CUZ), where you’ll be met by a representative from Valencia Travel and transferred to your Cusco hotel. 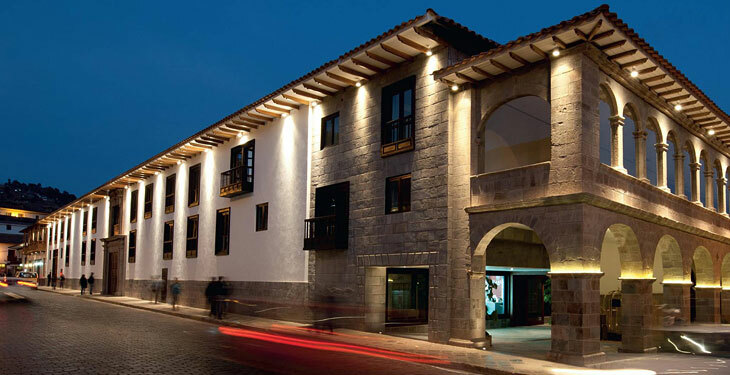 The three nights spent in Cusco are at a luxury 5-star hotel. Depending on room availability Valencia Travel will provide one of the below hotels. The three nights of camping along the trek are designed to make guests feel as comfortable as possible. During the trek you will share a 4-person tent with your travel partner and be provided with an air mattress pad, sleeping bag, dining tent with tables and chairs, and a professional chef. Solo travelers or the odd numbered person in your group may opt to share with another person of the same gender (if available). If this option is not available, or if you would like to have your own room, you'll need to pay a single supplement of $700 directly to Valencia Travel. What do I need to pack? Do you have a packing list? - Travel insurance - it is strongly recommended that you purchase travel insurance for the duration of your trip. What meals are included? And what if I’m a vegetarian? Daily breakfast will be included, along with all meals while on the trek (three breakfasts, three lunches, three dinners, and snacks throughout). Hot drinks will also be provided. Vegetarian diets will happily be accommodated at no extra cost. Please notify Valencia Travel in advance so they can make appropriate arrangements. How much extra money should I bring? How much is the Sacred Valley day tour? Most of your costs are covered by the trip fees. Although spending will vary from person to person, plan on bringing at least $500 for those meals not included, personal expenses, and souvenirs. The Sacred Valley day tour is $45 per person. What does the portage service on the Inca Trail include? Porters will carry all the cooking equipment and camping equipment. In addition, all guests have a personal porter limit of 11 lbs. What level of service can I expect on the trail? With the premium package you can expect the highest level of service. While on the trail, three gourmet meals a day are prepared by a professional chef and served in a dining tent. Additional porters are included in the package and will carry up to 11 lbs of personal belongings. Comfortable tent accommodations include a four person tent per two guests with air mattress pads and warm sleeping bags. What is the difference between the Inca Trail trek, the Salkantay trek, and the Lares trek? The Inca Trail is certainly the more famous option, though the Salkantay and Lares treks both gain in popularity each year. In efforts to control the numbers on the Inca Trail, the government restricts access by awarding only 500 non-transferrable permits per day (with up to 300 going to guides and porters). The Salkantay and Lares treks currently have no such restriction, making last minute trips much more of a possibility. 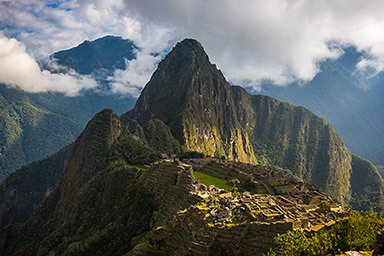 Permits for the Inca Trail during peak season (May – September) are often sold out several months in advance. We partner with Valencia Travel to offer departures for all of the routes detailed below. If you are interested in booking a trip on another route that isn't currently on our website, please give us a call and we can help you make arrangements. Note: The Salkantay trek does not let you hike directly to Machu Picchu; on the 4th day you will arrive in Aguas Calientes where you'll spend the night before visiting Machu Picchu the next day. Note: The Lares trek does not let you hike directly to Machu Picchu; on the 4th day you'll arrive in Lares, bus to Ollantaytambo, and train to Aguas Calientes where you'll spend the night before visiting Machu Picchu the next day. Book confidently with Free Cancellations within 72 hours of booking. After 72 hours, cancellation fees will apply. Cancellations are subject to the full discretion of Valencia Travel. For more information on our Travel Cancellation Policy please Click Here.